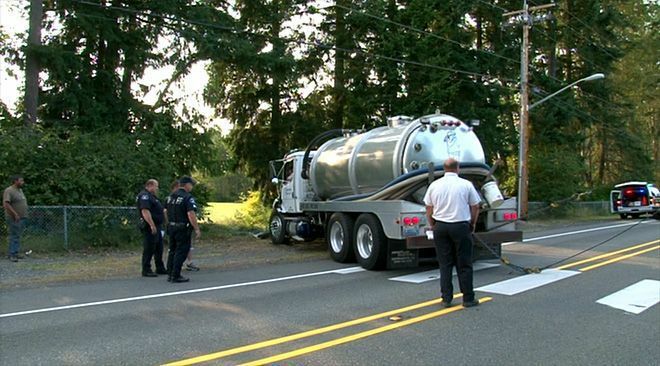 A 30-year-old man was killed Friday evening after his motorcycle collided with a runaway septic tank truck in Puyallup. According to the Pierce County Sheriff’s Department, a septic truck driver was finishing up a job at a house near the 12200 block of 151st Ct. E. in Puyallup just before 7 p.m. when the truck rolled down the hill. 30-year-old James Sharp was riding his motorcycle at the time and the truck barreled down the hill and collided with him, killing him at the scene. Witnesses say the driver of the septic tank truck told officials that he put the vehicle in park, but when police investigated the truck it was reportedly not set in the park position. The driver was cited for negligent driving – a misdemeanor offense – and released. The motorcycle accident attorneys at Davis Law Group have years of experience representing the victims of deadly motorcycle accidents in Washington State. If you or a loved one has been injured in a motorcycle accident, consulting with an attorney will help you to better understand your option. To schedule a free no-obligation legal consultation, call Davis Law Group today at 206-727-4000.